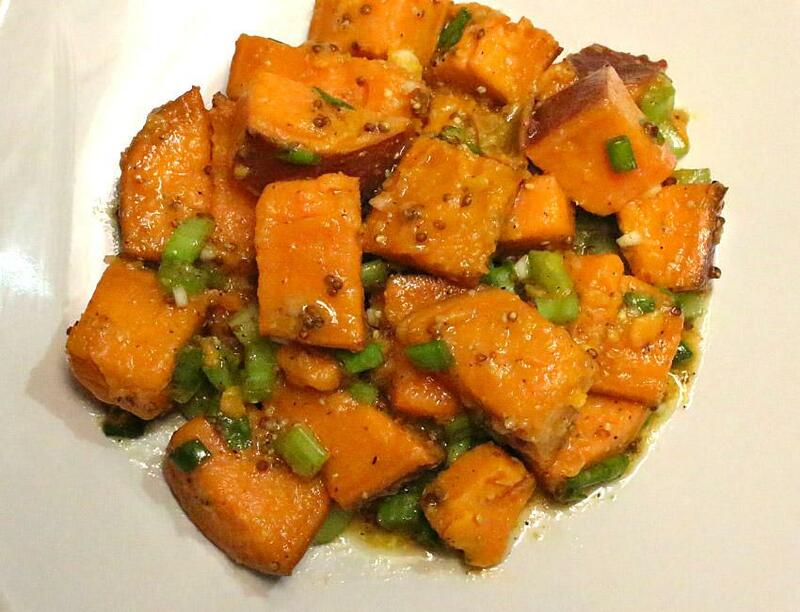 This crowd pleasing Sweet Potato Salad is the perfect side dish for your upcoming Thanksgiving feast! Bring a large pot of salted water to a boil, then add the sweet potatoes. Simmer just until fork tender (10 to 15 minutes depending upon the size of potato chunks). While the sweet potatoes are cooking begin preparing the dressing. In a small bowl whisk together the Marukan Genuine Brewed Rice Vinegar, olive oil, stone ground mustard, garlic, and add salt and pepper to taste. Once the sweet potatoes are ready, drain, rinse with cold water, and set aside. Once cool, add the chopped celery and green onions. Lastly, drizzle the dressing over the sweet potatoes and toss, enjoy!